In this experiment, we study the physics of ultracold bosonic (and soon fermionic) atoms in an optical triangular superlattice, which is formed by superimposing two commensurate triangular lattices at 532nm and 1064nm. Depending on the beam polarization and the relative position between the two lattices, the combined superlattice can take on a variety of geometries, including the triangular, the normal/ trimerized Kagome lattice and the hexamerized triangular lattice. The Kagome lattice is of particular interest to us because it manifests geometric frustration - the phenomenon of having a large number of degenerate ground states for geometric reasons -in various contexts. Frustration forbids ordering even at zero temperature, and often leads to exotic phases of matter. 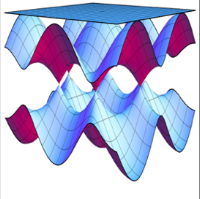 For example, the spin-1/2 antiferromagnetic Heisenberg model in a Kagome lattice is a frustrated quantum system whose ground state is believed to be a spin liquid. Yet there are many open questions about its exact properties. The Kagome lattice also manifests geometric frustration in its band structure, by having a flat excited band. In a flat band, the kinetic energy is quenched and therefore interactions are strongly accentuated, leading to the possibility of hosting subtle interaction-driven phases, including trion-superfluid and supersolid etc. The long term goal of this experiment is to study frustration-related physics and realize the aforementioned exotic phases using ultracold atoms in optical lattices. In recent years, we have conducted a number of experiments with bosonic rubidium-87 atoms in the triangular superlattice. See below for brief descriptions on those experiments. The trimerized (breathing) Kagome lattice is different from the normal Kagome lattice in having different intra- and inter-trimer bonding. Its richer lattice structure leads to possibility of hosting exotic many-body phases. By studying time-of flight images, we measure the coherence of the system as it crosses the superfluid to Mott insulator transition. We show persistent short-range coherence within trimers and asymmetric revealing asymmetric correlations in the system. The mean-field treatment of the Bose-Hubbard model predicts properties of lattice-trapped gases to be insensitive to the specific lattice geometry once system energies are scaled by the lattice coordination number z. We test this scaling directly by comparing coherence properties of 87Rb gases that are driven across the superfluid to Mott insulator transition within optical lattices of either the kagome (z=4) or the triangular (z=6) geometries. 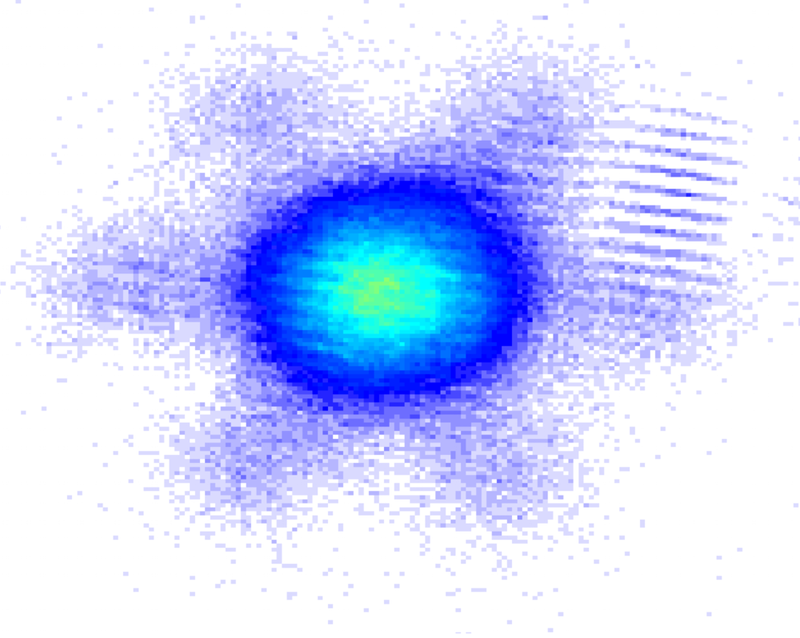 C. K. Thomas, T. H. Barter, T.-H. Leung, S. Daiss, D. M. Stamper-Kurn, Signatures of spatial inversion asymmetry of an optical lattice observed in matter-wave diffraction, Phys. Rev. A 93, 063613 (2016) | arXiv:1601.07117. We demonstrate that even a small potential asymmetry due to vector Stark shift, with peak-to-peak amplitude of ≤ 2.3% of the overall lattice potential, can lead to pronounced inversion asymmetry in the momentum-space diffraction pattern. G.-B. Jo, J. Guzman, C.K. Thomas, P. Hosur, A. Vishwanath, and D.M. Stamper-Kurn, Ultracold atoms in a tunable optical kagome lattice, Physical Review Letters 108, 045305 (2012) | arXiV:1109.1591. We report the first experimental demonstration of an optical Kagome lattice along with some other lattice geometries and techniques to characterize the lattice.